The species is found in Europe, northern Africa, and entire Asia as far to the East as Japan. It is an extreme rarity in Britain, although it used to be widespread throughout England and Wales. Armenia is inhabited by nominate subspecies, which occurs in wide variety of habitats, where some Willow trees exist, as it is using variety of Salix spp as a host-plant. The elevation range occupied by the species is from 400 to 2000 m a.s.l. 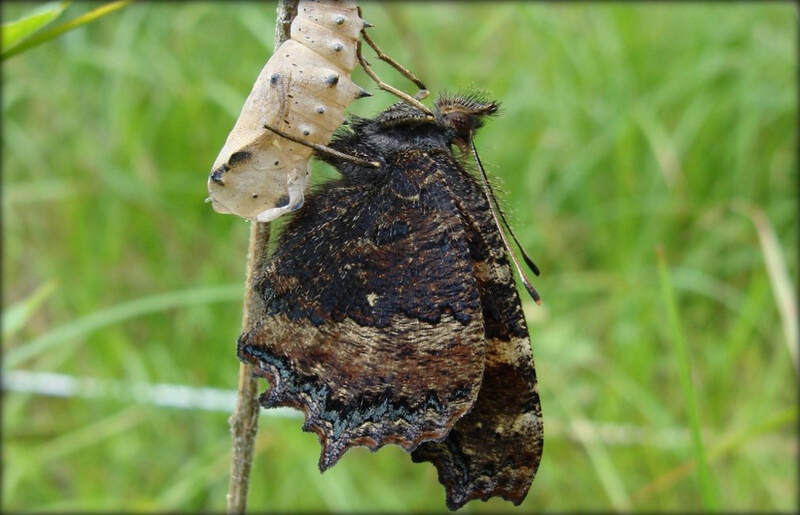 The Large Tortoiseshell gives one generation per year, in early May the overwintered butterflies begin their flight which lasts until late May, while from early June the newly emerged butterflies begin flying and can stay until late October, when they hibernate. The species is uncommon to rare within all types of habitat, and its canopy-staying behavior makes it quite a hard object for counting. Nevertheless, so far it could be concluded that the Large Tortoiseshell has stable population trend from 2003 to 2013 (p>0.05). Most probably the reason is rather stable situation with the Willow trees in Armenia, because those trees are not popular neither as industrial timber nor as a fuel. The species is not included in the Global and National Red Lists, as well as in CITES and Bern Conventions; for European Red Book the Large Tortoiseshell received a status of Least Concern, and it appears that it deserves the same status for Armenia. Current range of the species is covered by number of Protected Areas, Emerald Sites, and Prime Butterfly Areas, and there is no need for special conservation measures, however, it is important to continue the species monitoring for early determination of possible changes.